Please take the time to read and understand this policy. And bear in mind that by using our websites, or contacting us by telephone or providing information to us you agree to its terms. By filling in forms, for example when you join the company. By talking to us over the telephone. For example, when making a complaint. By registering accounts on any of our websites including setting up passwords and preferred user names, contact details, account details, your preferences. Full details of the purchases you make on our websites. These include the time, date and location of purchase; the products; any relevant delivery address; relevant payment cards such as a credit or debit card. Information on what you view, click on and access, on our websites. We also gather this kind of information when you use our in-house WIFI networks to access the internet. We may collect the time and geographic location of your device when you do so. For websites, this information may also include where you came to our site from, and where you went when you left it. We also track how often you visit and use our websites. We do this website cookies. We make cookie policies available on each of our websites to give you more detailed information on how we use them. Technical information about the devices you use to access our websites. We also collect this detail when you use our in-house WIFI networks to access the internet. We specifically save each device’s unique identifying codes (MAC address or IMEI number) device model, device name, relevant IP address, operating system and version, web browser and version, and geographic location. Basic background information on you from government and other external sources. Information from banking, credit card and credit reference agencies about your financial status. We also verify any payment card you use when shopping with us to see if it’s been reported stolen, to check that we’ll be paid for any transaction, and to reduce the risk of fraud (see below). To provide you with our websites, and in-house WIFI networks, which all require a certain amount of technical information to work properly. To help you purchase with us online. For example, we need to know your credit or debit card details so that we can take payment for the things in your shopping basket and provide you with a receipt. To check that you have (or are likely to have) the means to pay us for any products you order from us over the internet or telephone. To monitor how people use our websites to see if they are being abused or threatened, for example, in review areas or by would-be hackers looking to undermine our security. To enable us (and our third-party service providers) to plan and manage our day-to-day business as effectively as possible, for example, to predict the possible sales volumes of a particular product so we can make doubly sure that we have sufficient stocks to meet the likely demand. Credit reference agencies, who supply anti-fraud and credit-insight information to us. we store and use the information we collect. Any transfer of information we make to other countries could result in that information being available to their government and other authorities in those countries under their laws. We use appropriate procedures and technical security measures to safeguard your information across all our computer systems, networks, websites, offices and stores. Plus, we use secure means to communicate with you where appropriate, such as ‘https’ and other security and encryption protocols. In most cases, this means we will keep your information for as long as you continue to be employed by us, or purchase from us, or use our services, and for a period time afterwards. You can contact us at any time using the details below and let us know exactly what you would like us to change. So if you have an online account with us, please ensure that the information you provide (e.g. any contact information) is correct and that you review it and update it regularly. If you have reason to believe any of the information we collect on you may be inaccurate, and you are unable to put it right yourself through your online accounts with us, please contact us (see below for how to do this). You are perfectly within your rights to ask us whether we hold information about you and if so, for us to give you certain details about that information and/or the information itself. This right is commonly known as a ‘subject access request’. Certain exemptions and conditions apply to this right, principally that it should be in writing and that you give us reasonable details about the information you want. If you have any worries or complaints about the way we use your information, please don’t hesitate to get in touch with us. We’ll do our very best to set your mind at rest or put things right. And if, for whatever reason, you feel we’re not meeting the exceptionally high standards we expect of ourselves, you’re within your rights to take your grievance to the UK Information Commissioner’s Office (ICO). And don’t forget that with modern technology, you have more and more personal control over what information we and other organisations collect. For example, you can normally delete cookies and tracking technologies sent to your web browser. You can also change related settings to restrict them going forward, such as by using a private browsing mode (although this may affect your browsing experience on some websites). Plus, you can use the settings options in your mobile devices to restrict what sort of information websites are able to access and use about you. Online advertising networks, social media platforms and search engines (Google etc.) also provide tools to manage the data they collect about you, and how it is used and shared. We urge you to look out for these functions and tools and use them to manage your privacy in a way that suits you best. If you apply to work Abalone Graphics, we will only use the information you give us to process your application and to monitor recruitment statistics. 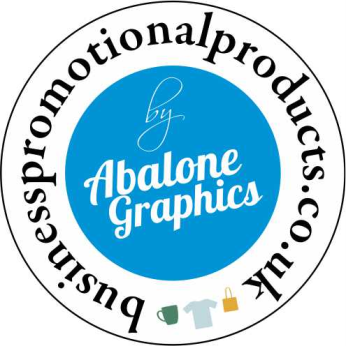 If we want to disclose information to someone outside Abalone Graphics Ltd – for example, if we need a reference, plan to use an external supplier to run background checks or need to get a ‘disclosure’ from the Disclosure and Barring Service (DBS) – we will make sure we tell you beforehand, unless we are required to disclose this information by law. If you are unsuccessful in your job application, we may hold your personal information for 6 months after we’ve finished recruiting the post you applied for. After this date we will destroy or delete your information. If you apply for a job, volunteering opportunity, or work experience, we will also collect information so we can assess your suitability for the role. Whenever we change this policy, we will make every effort to tell you. That way, you can check to see if you’re still happy. And if, following any changes, you continue to use our websites, contact us by telephone or otherwise provide information to us we will assume that you agree to those changes. CCTV is in operation at our premises in various locations. All CCTV footage is captured for your security and for the prevention and detection of crime. We’re a limited company incorporated in England. Our registered company number is 7342562 and our registered address can be found at the top of this policy. The Information Commissioner’s Office (ICO) regulates data protection and privacy matters in the UK. They make a lot of information accessible to consumers on their website and they ensure that the registered details of all data controllers such as ourselves are available publicly. You can access them here https://ico.org.uk/for-the-public/. You can make a complaint to the ICO at any time about the way we use your information. However, we hope that you would consider raising any issue or complaint you have with us first to the Compliance Manager.